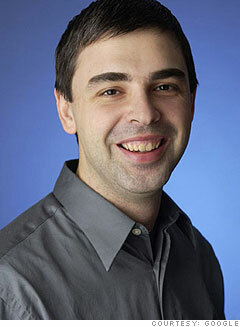 Today is the first day Larry Page is once again the CEO of Google . (Eric Schmidt announced he would be relinquishing his CEO post in January). The last time Page was the CEO was a decade ago before he and co-founder Sergey Brin hired Schmidt for adult supervision. The founders don’t need supervision anymore, and while Google is still the most powerful tech company in the world, it is not as invincible as it once seemed even a few years ago. Google is still king of search, but when it comes to new growth areas like social or local, the action is elsewhere: Facebook, Twitter, Zynga, Groupon. Maybe what it needs is the return of a founder CEO. Between the two over-achieving Google co-founders, Page is considered to be the ambitious one. “Ten billion,” said Larry Page. Remember, back in 1999, Google didn’t even have any revenues to speak of and hardly any idea how it would make money. (AdWords and AdSense would come later). But Page is, if anything, an outside-the-box thinker. Doer would go on to invest in Google and become a board member. The company surpassed even Page’s wild projection. Last year, Google’s revenues approached $30 billion, and it’s market cap today stands at $188 billion. But can Page inject new life into the company and keep it growing for another ten years? Of course, today, if you follow Doerr , he is investing in Twitter, Groupon, and Zynga.